Home › Announcements › FeatherHAB Source Code Released! 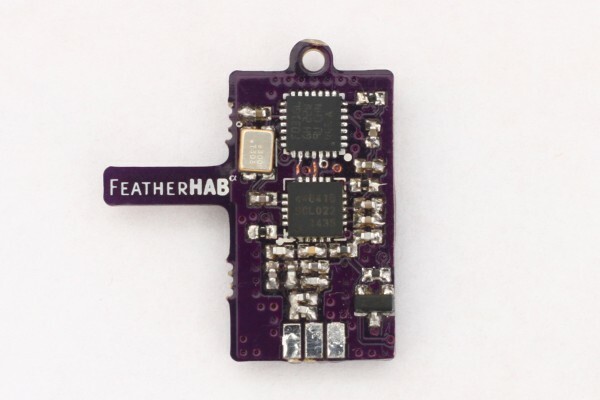 FeatherHAB hardware and software source code are now available for download! The hardware is released under the Attribution-ShareAlike 4.0 International license and the firmware is released under the GNU Affero Public License. A st-link programming adapter, blackmagic probe, or similar is required to flash FeatherHAB boards. You will also need some means of connecting to the programming pads on the FeatherHAB PCB. You can solder wires directly to the programming pads, or you can build a ProtoProg adapter. Building your own FeatherHAB or modding the design? Drop a comment below and share your progress! Awesome. Thanks for great design work and philanthropy. Do you have any PCB’s for sale? Been interested in aprs for balloon tracking; have used spot trace device so far. but some of our launches are very remote: beyond the Arctic circle for example. Any idea of where I can find out about aprs coverage in remote areas? Remote areas are covered by the HF-APRS network on the 30 meter band. While the single-hop range of this segment of the network can be 500-2000 miles, or more, the bandwidth available is _very_ low. It’s best to keep your transmitted packets as short as absolutely possible; this allows others to use the network as well as makes it more likely that your packets will be successfully received. HF is a very noisy radio environment compared to VHF or UHF. Consider using the very short “Mic-E” packet format, and beaconing only once every 15 minutes. We use a very similar tracker system in our HAB flight computer, but instead of APRS we have a custom radio message format on 433MHz band. I tried to compile firmware, but it said that ‘no rule to make target ‘feather.elf’. And furthermore it looks like missing ‘nvic.h’. Would you please check it out? Hey, thanks for letting me know! Looks like I omitted some files from my source code repository. I’ve updated the download link in the article and the code should build now. Let me know if you still have issues and I’ll see what I can do. I would like to build one of these. I want to be sure I get all the right parts for it and I’m not so sure about the inductors, antenna etc. 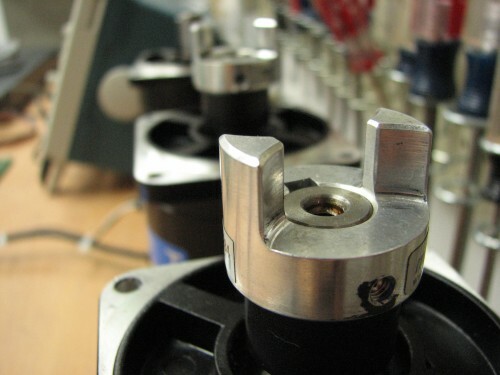 Do you have a BOM that works at mouser or digikey? The BOM is actually included in the hardware .zip file linked above, just look for “featherhab.ods” (libreoffice format). 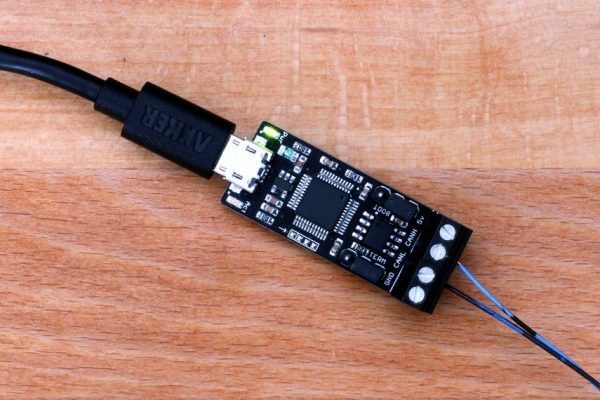 I’ve included DigiKey links for everything except the GPS module, which you’ll have to source from another supplier. Let me know if you have any questions! the featherHAB looks like perfect for our needs. we’re flying solar balloons and wonder if somebody sells working featherHABs or boards. we’re just not good enough too manufacture these by ourselves. thank you very much for any suggestion or alternatives. I am actually working on a modified version of FeatherHAB board. Currently I have a board manufactured, and I hope to finish development in a month or so. Awesome! Keep me posted, curious to see what improvements/changes you’ve made. Hi Ethan, can the 144.390MHz frequency be changed to EU APRS 144.800MHz? Congratulations for this wonderful project. I am about to replicate it and I realized that the MAX-6 GPS is not available anymore. It seems the MAX-8 (currently available) is backward compatible with the -6 and I was wondering if you or anyone else were able to confirm the new -8 can be used with your tracker. Sorry for the exceptionally late response, but for what it’s worth the MAX8 does work–I think you may need to tweak the NMEA parser for standard featherhab; the wspr version uses the ubx protocol which is the same across both models. Hey Ignacio! Unfortunately I don’t have any FeatherHab boards available. You can build your own, probably for around ~$30USD in parts, more detail here: http://protofusion.org/wordpress/2016/02/featherhab-source-code-released/. 2 Pings/Trackbacks for "FeatherHAB Source Code Released!"